Cosma Nature 6 x 70g | Amazing deals on wet cat food at zooplus! 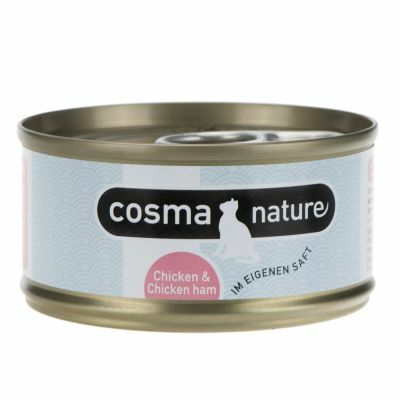 High quality premium wet food for cats with 75% meat content and fresh ingredients. Gently cooked in its natural juices, with no additives. For a delicious, healthy diet! 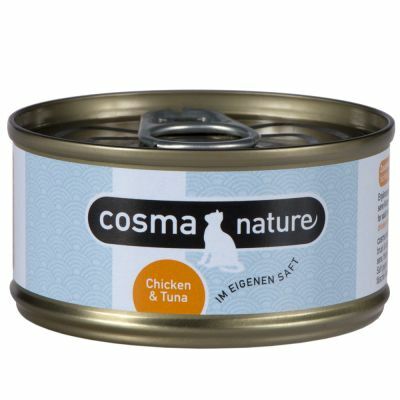 Cosma nature :"My little furbaby adores all the cosma nature range! chicken, fish, salmon he loves it all! Great quality food at good price as well!" 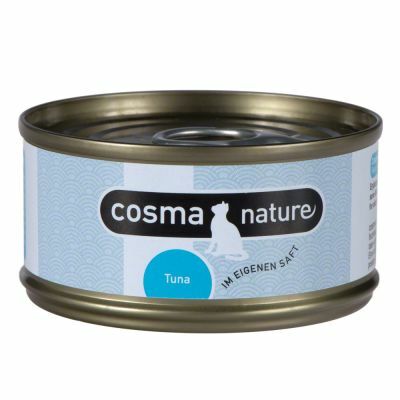 Cosma Nature is a natural wet cat food with an exceptionally high 75% meat or fish content. 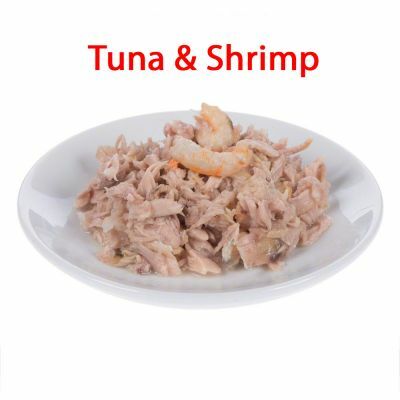 With a wide range of delicious varieties including delicious tuna, tender chicken fillet, breast and flavoursome salmon, also available in combination with tasty shrimps and cheese. 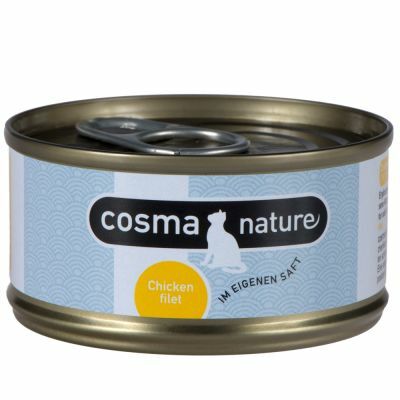 All ingredients are gently cooked in their own juices, preserving their natural flavours and nutrients – a natural, pure delight for your cat. 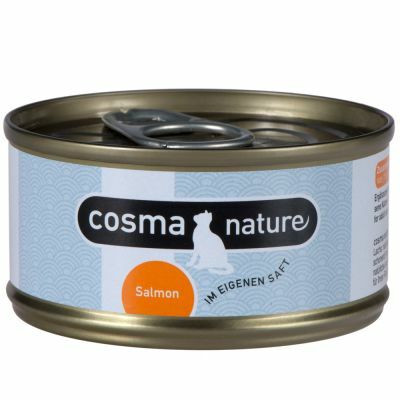 Cosma Nature is a supplementary food for adult cats. Feed your cat 2 – 3 cans per day in at least 2 separate meals. Serve at room temperature. Always ensure plenty of fresh drinking water is available. Keep opened cans in the fridge and use within 24 hours. My little furbaby adores all the cosma nature range! chicken, fish, salmon he loves it all! Great quality food at good price as well! They can't eat it fast enough! I have three moggies of ages varying from 15 years down to 8 months and they all absolutely love this food! Even the confirmed dry food fan will eat this one. It even smells good to me!! 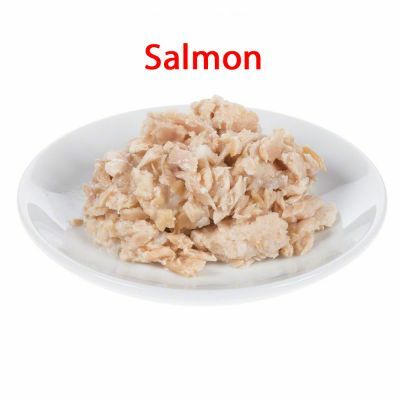 It's great quality food, no nasty additives and full of fishy goodness. They like several of the available flavours but I reckon the tuna is their favourite.